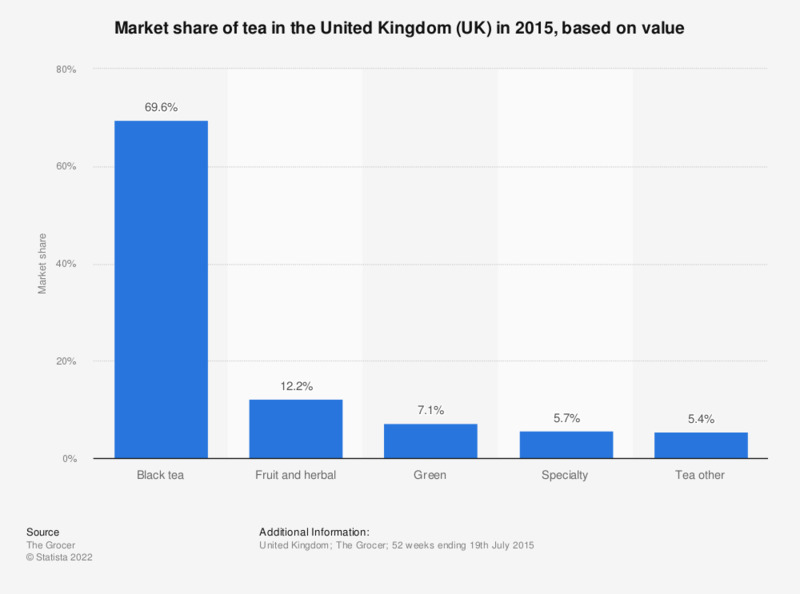 This statistic shows the market share of tea in the United Kingdom (UK) in 2015, based on sales value. Black tea makes up the majority of the tea market at 69.6 percent, followed by fruit and herbal teas at 12.2 percent. Statistics on "Tea in the United Kingdom (UK)"
Do you normally buy the same tea brand for at-home consumption? How many cups (200 ml), on average, of tea do you drink per day? How often do you drink tea? How many days a week do you usually drink tea? On what days of the week do you usually drink tea? What is your favorite type of tea?